The Godfather is a 1972 film based on the 1969 novel of the same name by Mario Puzo and directed by Francis Ford Coppola, with a screenplay by Puzo, Coppola, and an uncredited Robert Towne.It stars Marlon Brando, Al Pacino, James Caan, Robert Duvall and Diane Keaton, and features Richard Castellano, Abe Vigoda and Sterling Hayden. The story spans ten years from 1945 to 1955 and chronicles the Italian-American Corleone crime family. Richard Conte as Emilio Barzini. John Martino as Paulie Gatto . Joe Spinell as Willi Cicci . 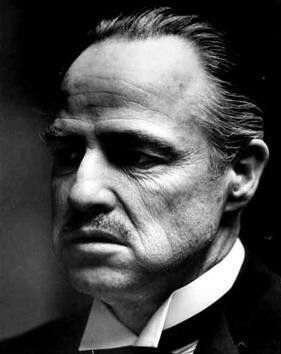 Two sequels followed The Godfather: The Godfather Part II in 1974, and The Godfather Part III in 1990.